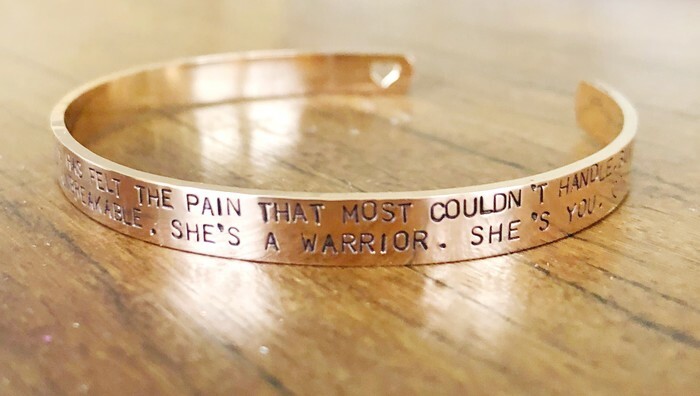 This beautiful cuff makes a wonderful gift for yourself or someone you know who needs some inspiration. 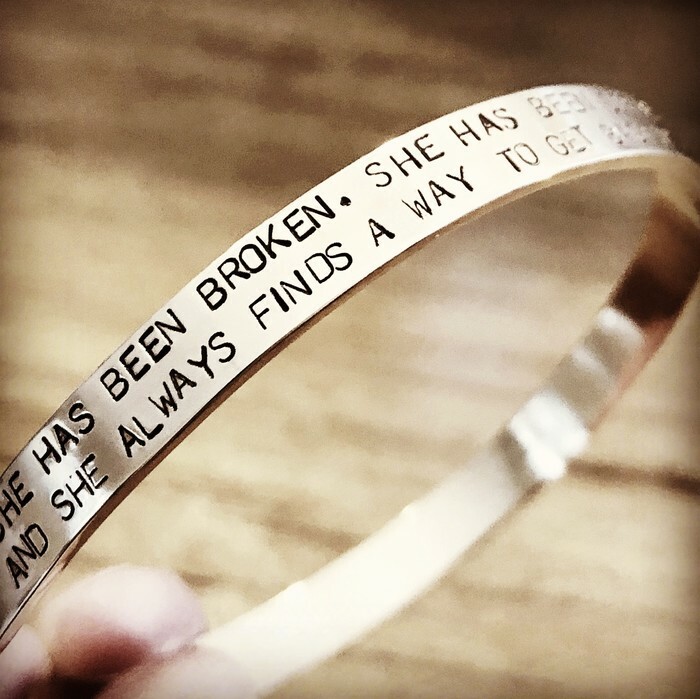 The quote stamped is 'She has been broken. She has been defeated. She has felt the pain that most couldn't handle. But she never runs. She never hides. 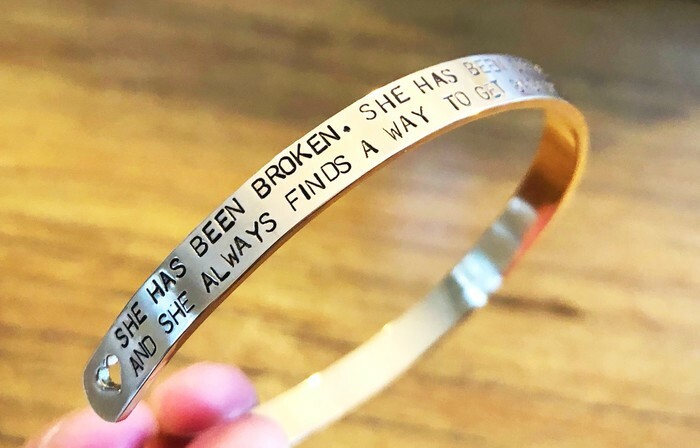 And she always finds a way to get back up. She is unbreakable. 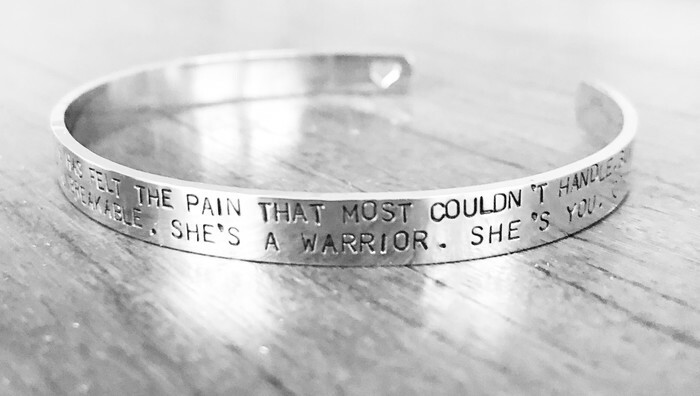 She's a warrior. She's you. Available in silver, rose gold and yellow gold. You may choose another quote of approximately the same amount of characters. Worldwide shipping. There is a 3-5 working day production time.